DeNA and 22cans have announced the release of Godus on Android devices. Previously released on iOS, the game was developed by Peter Molyneux, and puts players in the role of a powerful deity, capable of determining the fate of his or her people by sculpting the land and helping their civilization grow. In Godus, players can sculpt and manipulate the land through push and pull controls, clearing rocks or creating pathways for their followers to move throughout the world. After users create a hut for their first followers, those citizens breed and populate this virtual promised land, building additional huts and generally flourishing with the player’s guidance. Players advance through the game by reaching goals like population milestones. Gamers earn cards that unlock new technologies for their followers, and these can be upgraded with stickers found in the environment. The first card, for instance, helps players upgrade from basic tents to a more advanced hut for shelter. The Android version of Godus contains all of the content already released on iOS (including update content), and gives players the chance to advance into the new Frontier Age, complete with new challenges and surroundings to explore. In addition, social features now see the game naming a user’s population after the player’s real Facebook friends. Finally, users can explore their friends’ worlds, and compete against others in weekly events. “Our goal when we set out to create Godus was to provide gamers with a captivating and deep gameplay experience that constantly grows and evolves. We’ve learned an incredible amount in the first three months of the game being available to the world on the App Store. 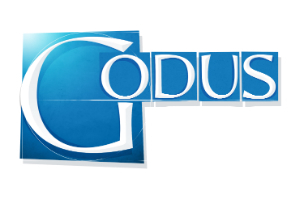 So we are happy to say that the version of Godus today on Android devices and iPhone, iPad and iPod touch is one step closer to fully realizing our vision for the game,” said Peter Molyneux, in a statement. Godus is available to download for free on Google Play and the iTunes App Store.